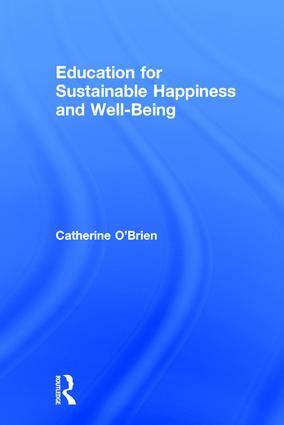 In this innovative and cogent presentation of her concept of sustainable happiness, Catherine O’Brien outlines how the leading recommendations for transforming education can be integrated within a vision of well-being for all. Solution-focused, the book demonstrates how aspects of this vision are already being realized, and the potential for accelerating education transitions that enable people and ecosystems to flourish. Each chapter assists educators to understand how to apply the lessons learned, both personally and professionally. The aim is to support educators to experience themselves as change-makers with growing confidence to implement new teaching strategies and inspire their students to become change-makers as well—engaged in deep learning that develops character, connections with life, and invigorating collaborations that revitalize the very purpose of education. Catherine O’Brien is Associate Professor, Education, Cape Breton University, Canada.